With a Masters (MFA) in Poetry from Queens University, published author, Spoken Word artist, motivational speaker, comedian, and bathroom concert singer, Queen Sheba tours internationally and has conducted performances and workshops at over 200 colleges and universities domestic and abroad. Born in Detroit, Michigan, now living in Atlanta GA - Queen Sheba is a Int’l 4 Countries Slam Champion, two time National Poetry Slam Champ, three time Regional Poetry Slam Champ, and a Individual World and Women of the World Poetry Slam finalist. Queen Sheba studied abroad for both her undergrad and graduate degrees; her works have appeared in numerous anthologies and magazines including, Vibe Online, and has been the focus of college student’s papers. Boasting two books: From Foster Care to Fam--short stories and poems too long for three minutes--and Run Ugly!, a motivational book for runners, Sheba is also a featured performer on Verses and Flow, brought to you by Lexus on TV One, and has been on Spoken, a featured poet on Lyric Café on BET, 106 & Park, the Apollo, and in the feature length film Spit. Sheba has six albums, two of which were up for a Grammy under the Spoken Word category, and she is a two-time NAACP Image Award Nominee. 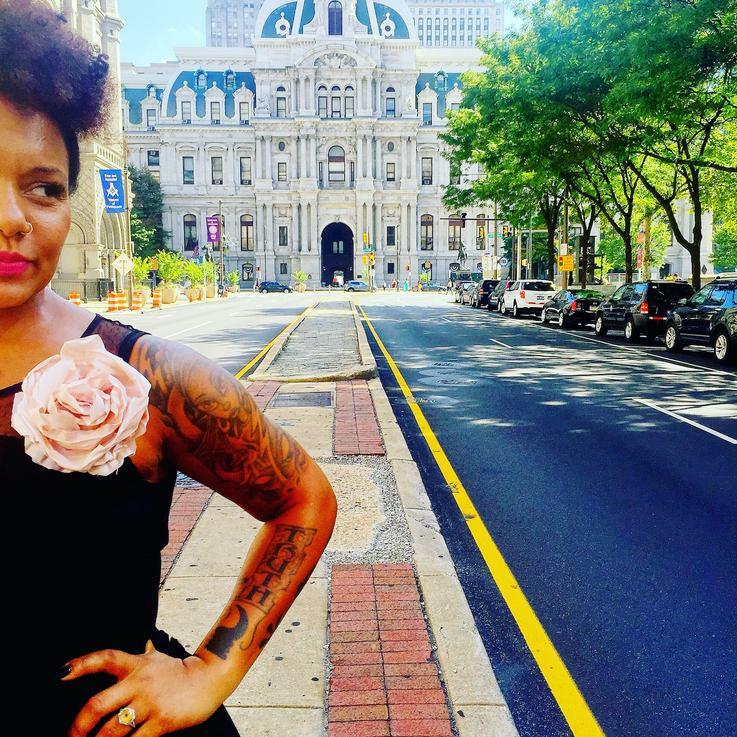 The co-founder of the nationally touring production Poetry vs. Hip-Hop Live!, The Vacationing Rabbit Bed & Breakfast, with her fiancé Dj Knodat, Sheba’s forthcoming works include two new books: Running Black in White America--interviews with black runners paralleling the violence in America--and Consider The Raven her second collection of poems.